At the Shootist gathering in New Mexico this year, one of the gifts given for the raffle was several really neat SUREFIRE flashlights. The one in the pictures with the large lens is the MOD. 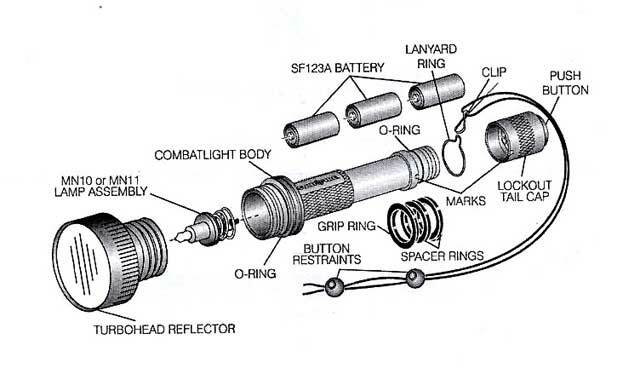 M3T-CB COMBATLIGHT. 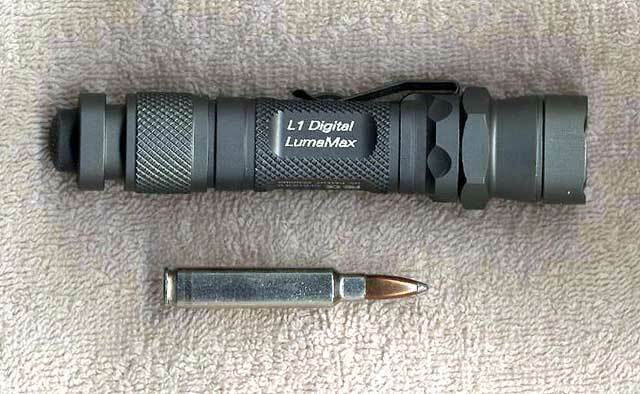 The smaller one is the L1 DIGITAL LumaMax. SUREFIRE makes a long line of flashlights sure to please the pickiest of folks. My son Rico, who is with the local Sheriff’s Office, also carries a SUREFIRE, as so many Police Officers do. The MT3 comes with an extra bulb... not that they burn out... but just in case somehow the original is somehow busted.... They are guaranteed for a lifetime, and the company sells a special line of long lasting 3 volt batteries at a very attractive price in comparison to the local hardware store. If you were thinking of buying a Hi-Tech flashlight.. The SUREFIRE is hard to beat. Take a look at their web site, www.surefire.com.